From Julie Platner’s photo blog. Click here for more! 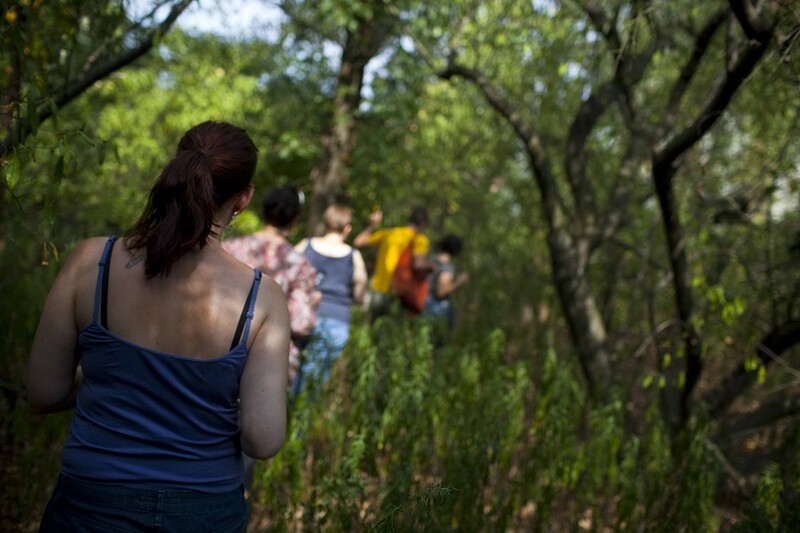 STATEN ISLAND, NY – August 21, 2010: Tour Participants walk through brush to an undisclosed location. The Ghost Ships of the Kills tour, led by artist Marie Lorenz, took participants by bus to climb empty and never used natural gas tanks and decrepit boats next to the Fresh Kills, a stream and freshwater estuary, next to the Fresh Kills Landfill. During the summer months, artist-innovated mystery tours supported and curated by Flux Factory take participants to undisclosed locations – with each tour having a theme – around the five boroughs and beyond.